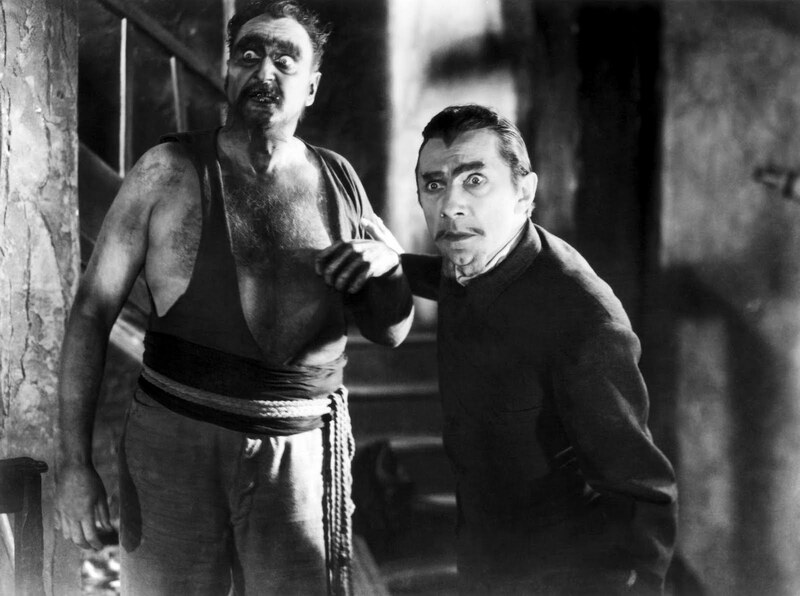 Though it was not a Universal monster, "Murder" Legendre as played by Bela Lugosi was an early and somewhat overlooked Jack Pierce makeup in United Artists' WHITE ZOMBIE. 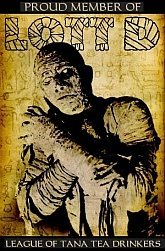 It was released the year after FRANKENSTEIN and the same year as OLD DARK HOUSE and THE MUMMY, all of which were Universal Pierce films featuring more noted monsters. Both Lugosi and original FRANKENSTEIN director Robert Florey were reassigned to MURDERS IN THE RUE MORGUE when test films for FRANKENSTEIN displeased Carl Laemmle Jr., head of production at Universal, in 1931. Though Lugosi would return to Universal to make films such as THE BLACK CAT (1934), THE RAVEN (1935) and THE INVISIBLE RAY (1936), he made WHITE ZOMBIE at UA. Pierce had never actually signed a contract with Universal even though he was makeup department head from 1928-1947. He had previously left the studio in 1927 to work at Fox to create an ape-man character for THE MONKEY TALKS. But after WHITE ZOMBIE, Pierce never again worked outside Universal until he was dismissed in 1947 after the merger with International Pictures. WHITE ZOMBIE was a low budget film even by 1932 standards, having been made for a rumored $50,000, filmed in two weeks in March of 1932 and released that August. Of course, neither the film or character received the publicity or notoriety of the Universal horror classics of the early 1930s. 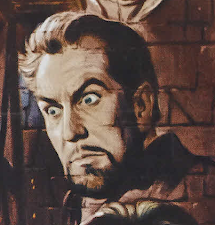 But the image of Lugosi in Pierce's makeup should be considered relevant to cinema enthusiasts.